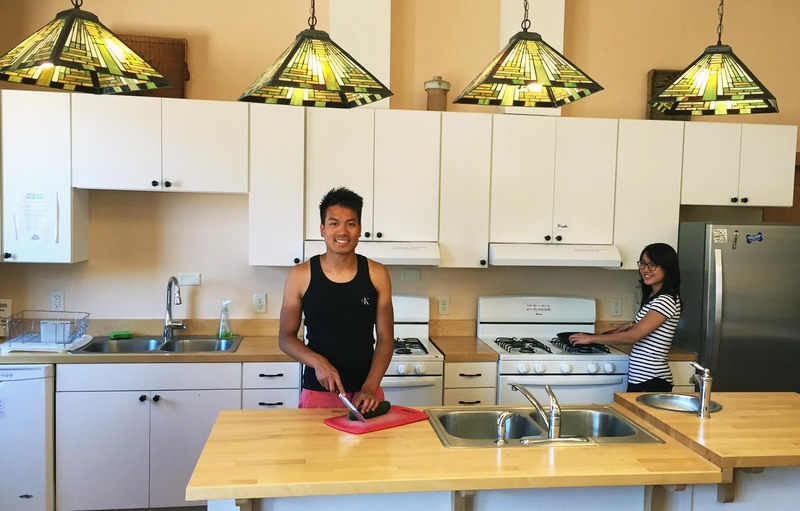 One of the most popular features of ACT Campground and Learning Center is our deluxe community kitchen, available for use by all of our guests. The kitchen includes two gas ranges, two sinks, a hand washing sink, refrigerator and dishwasher. All utensils are provided-all you need to bring is your food. The dining room can seat up to about 40 at one time, and is usually busy around breakfast and dinner time as campers and cabin room guests cook, eat and socialize. In addition there is a gas grill on the patio and seating for outdoor eating, as well as a community fire pit to gather round in cool evenings. • There is a permanent reference library in the Learning Center. These books are the property of artist-in-residence David L. Brown, and while you are invited to browse and read them, THEY ARE NOT TO BE REMOVED FROM THE LEARNING CENTER. The Learning Center is under 24 hour video surveillance.